Nuprols Essential Soft Rifle Bag is designed to transport your gun and accessories together. It is the perfect size for holding your full-length rifles or sub machine guns. 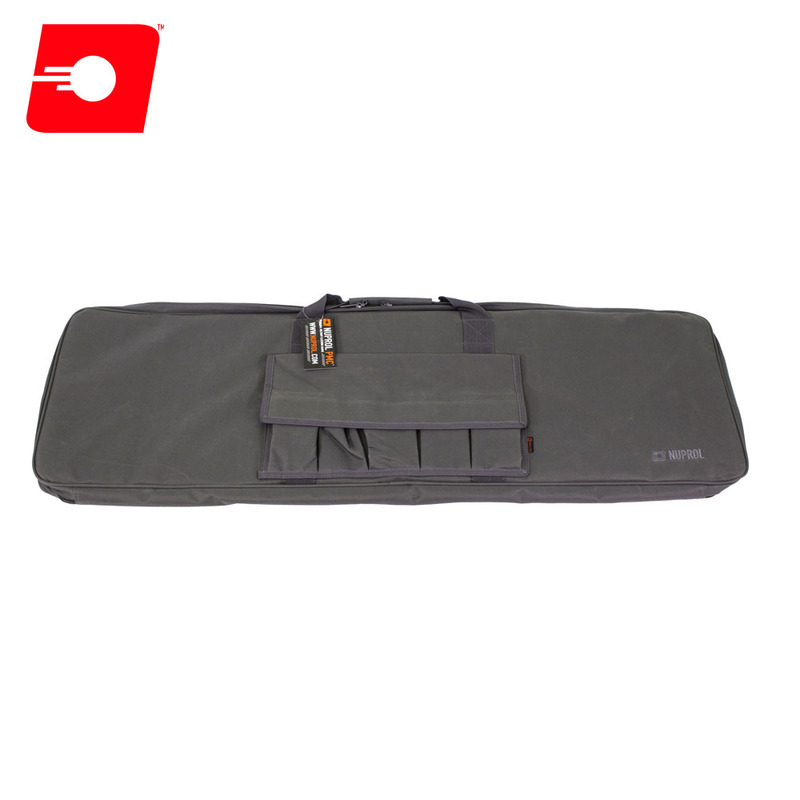 The interior of the bag is padded with a soft lining to protect you rifle. The exterior of the bag features two carry handles, and five extra pouches with hook & loop flap closures for carrying extra BBÕs, grenades, magazines, or almost any other accessory that you may need on the field.